SS Ketel Marte came off his rehab assignment Monday and will join the Mariners as they begin a four-game series with the Cleveland Indians at Safeco Field. The Mariners Monday recalled SS Ketel Marte from his rehab assignment with AAA Tacoma and, to make room on the 25-man roster, optioned OF Stefen Romero back to the Rainiers. Marte will be available Monday night when the Mariners, losers of three in a row, begin a four-game series with the Cleveland Indians at Safeco Field. 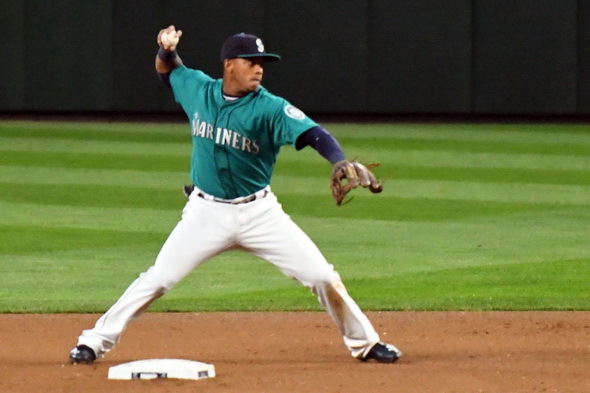 The 22-year-old Marte appeared in five games with Tacoma. He hit .200 (4×20) with four runs, one double, one RBI, two walks and two steals. Marte was injured May 21 at Cincinnati, spraining his left thumb sliding into second base on a stolen base in the top of the fifth inning. In 40 games prior to his injury, Marte hit .276 with nine doubles, two triples, one homer and 31 RBIs. Romero, 27, hit .200 with one double, one sacrifice fly and two RBIs in eight games with the Mariners. At Tacoma, He was hitting .358 with 30 runs, seven doubles, four triples, seven home runs and 34 RBIs in 39 games. Romero also appeared with Seattle in 2014 and 2015. In a combined 93 big league games, he hit .192 with four home runs and 16 RBIs. LHP James Paxton (0-1, 7.36), knocked around for eight runs on 10 hits in his last outing, will throw for Seattle Monday night opposite RHP Trevor Bauer (3-2, 4.27).